14th August 2014 – Exhibition of MA Interactive Installation @Fusion, Norwich. 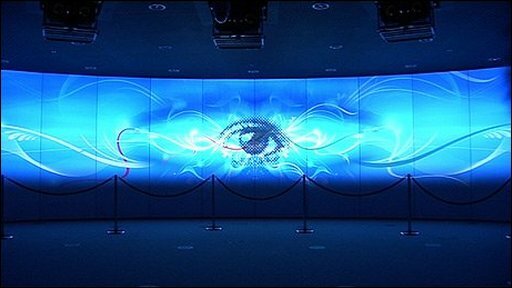 Fusion Screen, Image ©BBC 2009. I’ve been lucky enough to have the opportunity to exhibit my work my final MA work at the Fusion in Norwich on the evening of 14th August 2014. It will be open to the public from 17:30 – 19:30. So come along! The Fusion is “Europe’s largest, permanent, public access digital screen measuring 24m by 2.5m (78.7ft by 8.2ft). The screen is powered by five high-definition projectors, which can work together to produce one giant image, or independently run five different films.” (BBC, 2009). The Fusion is based in the centre of Norwich in The Forum. This is a totally amazing space and will be a brilliant way to showcase the work in the way it was intended. 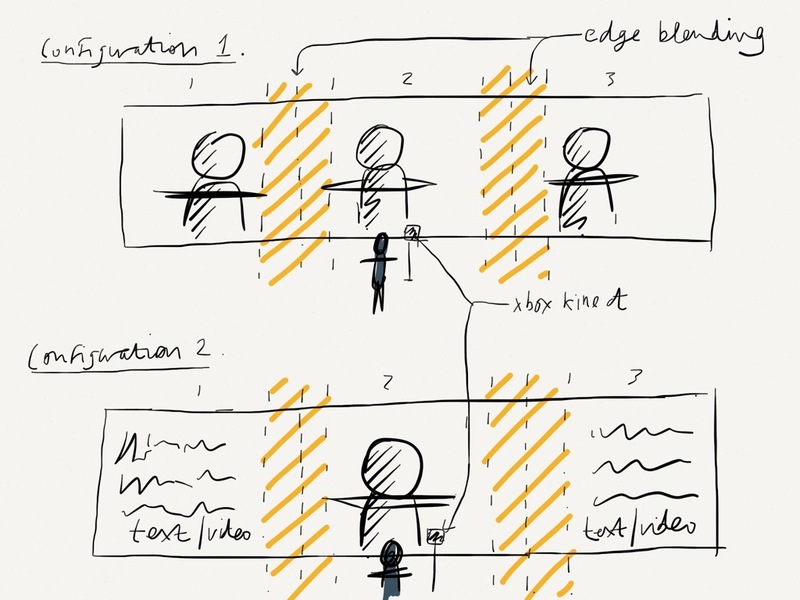 This does create lots of pressure to ensure this project is working flawlessly from a technical perspective alongside making the message clear to the audience. Although the project is taking shape, it’s still needs a lot of work. Tomorrow I am visiting London to have an informal discussion with Prof. Jonathan Hayes, a particle physicist from Queen Mary’s University London, to discuss the theories surrounding my project, I hope this in turn will add clarity to my work. I’m aiming to have the project at 90% completion within the next fortnight, this will allow for some peer and tutor feedback and adjustments for each venue; The Fusion and the final NUA MA exhibition. The tech specs of the Fusion screen allow for 2 potential versions of the project, this decision will be partially informed by a test run the week prior to the final showing of the work. The current configuration allows for three HD video streams. These utilise a technique called edge-blending to create the illusion of one giant image. This is all run from a Windows-based system. This system will allow only the playback of multiple .wmv streams or a VGA input. This will allow the options of either duplicating the video side-by-side three times or have one main video stream from the laptop and utilise pre-recorded video for the other 2 displays (see fig.1) – this would allow for background information in the form of text or video.